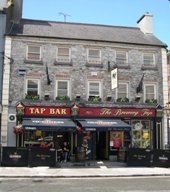 Family run pub located in the heart of Tullamore. Serving fine home cooked food. Live entertainment at the weekend. All major sports live on big screens.